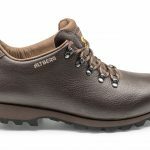 After 27 years in the boot-making business, specialist British boot-maker Altberg is launching its first shoe designs with a collection of four models. 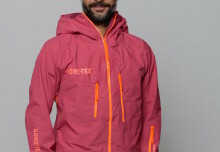 There are two shoes under the Jorvik name, and two under Pathfinder. Designed to perform equally well on the hill or the street, the Jorvik shoes have deceptively stylish looks until you delve under the surface and realise they contain all the traditional bootmakers skills and features that help Altberg designs thrive on the hill. 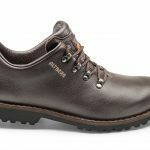 The Jorvik Trail (£170) is a lightweight, supportive and breathable hiking shoe using a seamless one-piece construction made from first-grade 1.6-1.8mm Italian Nappone full grain leather, with a Sympatex waterproof/breathable lining, Vibram Masai sole and Tri-flex midsole combining to offer strong support and traction. 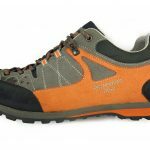 The Pathfinder shoes are more technical in appearance, designed for walking on tracks and well-trodden upland trails. 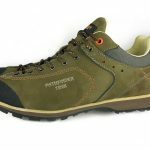 The Pathfinder Trek (£140) uses a Nubuk leather upper, classically lasted with a trekking midsole so it has good torsional support for uneven terrain. There is a moisture- and grit-resistant bellows tongue, soft leather inside around the ankle for comfort, and a waterproof/breathable liner. The sole is a hybrid Vibram design that combines lifestyle and trekking. Lacing is down to the toe to fit a wider range of foot widths and volumes. 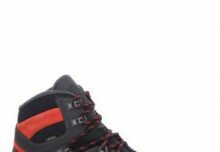 The Pathfinder Trail (£130) features a microfibre upper, an extremely breathable material which helps make this shoe the lightest piece of footwear Altberg has produced. The shoe uses typically Altberg construction, with classical lasting and a trekking midsole for torsional foot support, plus a waterproof/breathable membrane. The sole uses the same hybrid Vibram design as the Trek. First Ascent is ready for business again with new owner Jason Myers.